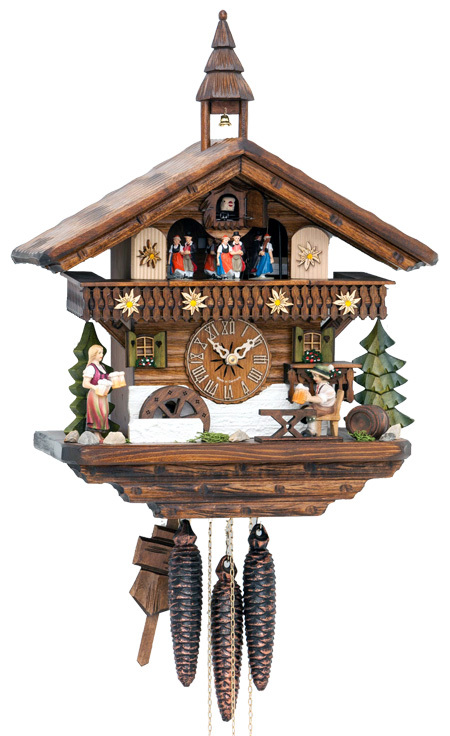 15 inch new musical 1 day chalet cuckoo clock by Hekas ( includes clock tower) with moving beer drinker. 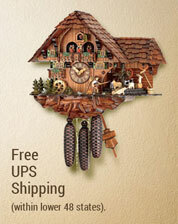 Clock also features wooden handpainted figurine of a bavarian waitress. 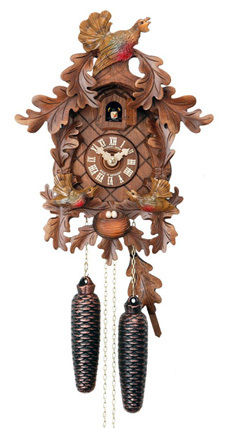 Very nice clock with solid wooden roof and nicely decorated wooden clock case. 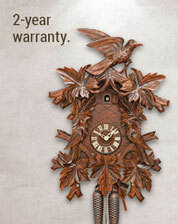 Nicely done 2 tone wood work. 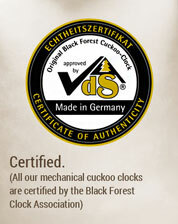 Wooden dial, numerals and cuckoo bird. 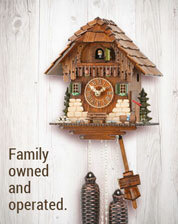 Clock plays 2 tunes and features night shutoff.